No doubt that these days’ students are increasingly dependent on technology and are constantly on a spree to change get-up for everything they do or have. So backpack designing has got into a new wave of creating some really amazing and creative ideas to incorporate into a backpack. From bags with special pockets for cords, chargers to a tablet or a pc. But often you get worried about how to spice up your kids’ backpacks for school. Relax! Don’t bother to send your kids to school with the same old school supplies. Here’s how to pamper them up especially with some really cool and fresh ideas without having spent a fortune. Maybe your kids want to have their own created designs for their notebooks! Take a print out and stick it to the front of their notebooks. You can use cute craft papers, clippings from magazines or books, stickers or some other sources to make their notebooks a special of the lot. What could be more fun than making an Illustrated Computer Case for the little mites? 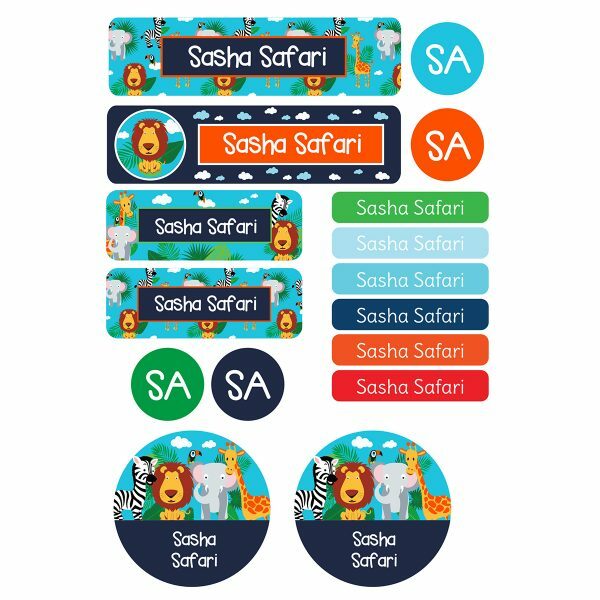 Now protect your kids’ computer or laptop with cases made with funky designs and illustrations. By just spending a few pennies you not only get a refreshing look for your gadget but also protect your valuable purchase. Really! How did we never think of this before? Pencils wrapped in washi tape is one of the easiest ways to instantly add a dash of style to your kids’ school bag. It just not only gives a different look altogether but also helps them to keep a track of their own stationaries. Sometimes small things are of big choice. Give your boring archaic paperclips some life just by changing them into, mmmm, hearts! This trick is pretty quick enough and is easy, which elevates the boring paper clip from a bland essential to a pretty cute accessory. What could be more exciting than sipping water from a really picturesque holder? A multi-purpose drink bottle holder is one of the kind which can be used not only separately but also can be paired with your school bags or lunch kits. We can’t deny that even our little monsters do need to keep themselves hydrated as much like other creatures. You have a fussy eater at home right? Often find the lunch box not even touched. Chill! Your kiddo will now wait for his recess. A colorful personalized lunch box or omiebox can be of a reliever for the kid. It only often keeps the food fresh but also pumps in excitement and fun for your fussy eater who gradually looks forward to a fun-filled lunch. Worried about your little ones playing in the sun all year round? Often they pester for indulging in gardening or playing Fun-type games, we ponder for their protection. 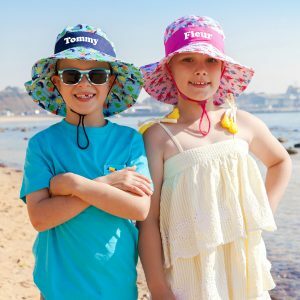 Personalised Sun Hats are one of the best answers to them without killing their urge. Exciting colourful prints with their names on their heads will not only protect them from the harmful UV rays but also keep them cool. Ultra-durable and Machine washable prints will be the talk of the town pretty soon! 8. Cool Tags for your Backs! The best way to show your élan is nothing but bag tags. The immaculate accessory for your kids not only to track their belongings but also to showcase their style. They are perfect for your school backs, travel cases or even your lunch cases. Carry your mood …anywhere! 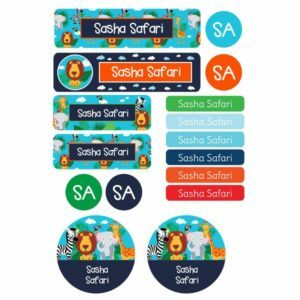 Personalised Labels in colourful designs are a must back to school supply this season. Do you believe keychains are just for keys? Pom-poms, pineapples, tassels, will add a sparkle of something extra to your kids mundane backpacks or cases. 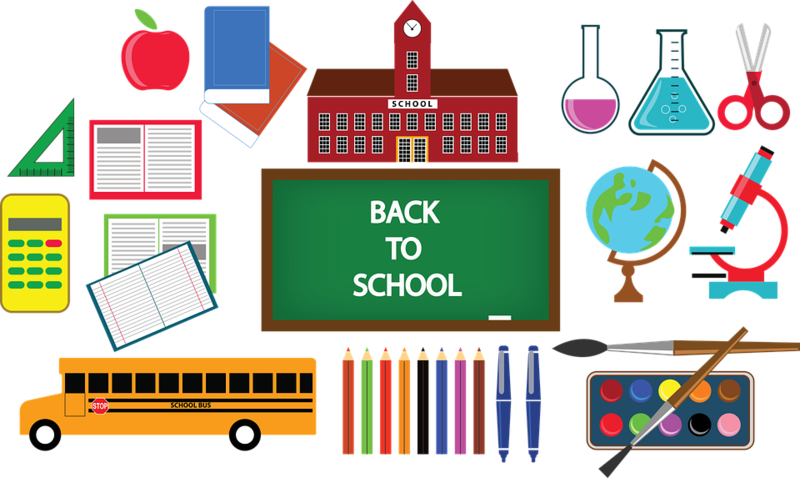 So just explore these few ideas to freshen up your kids school supplies and lift up their mood before they start school in the coming year. Till then Happy Holidays and have a great time with your kids at home.